With the exception of the first 2 miles from The Country Ground to Coate Water, all the other closures are for a single lane only, and traffic will be able to flow in either the opposite direction freely, or with managed two way traffic control.We will be operating many traffic crossings on the course a the busier junctions, and these will allow road users to cross the course under the instruction of marshals when there is space between the runners.We will endeavour to have the roads open as quick as is possible behind the last runner at each stagePlease accept our apologies for the disruption to Swindon’s road network, and we would love for as many residents to come out and support the 2,700 runners along the way.We are working with 15 Local Swindon charities on the day, and these charities will all have ‘Atmosphere stations’ on the course at various points as well as runners wearing their shirts to raise awareness. This Order is being introduced to allow for the Swindon Half Marathon to take place and will involve various road closures from 7am to 1pm as follow:Roads affected by the Swindon Half Marathon:County Road (the section from the STFC to Magic Roundabout), Magic Roundabout (from County Rd, access to Shrivenham Road and Queens Drive (eastbound carriageway only), Queens Drive (eastbound carriageway only from Magic Roundabout to Coate Roundabout), Dorcan Way (from Coate Roundabout to Greenbridge Roundabout), Greenbridge Roundabout (from Dorcan Way to Swindon Road), Swindon Road (from Greenbridge Roundabout to Bridge End Road) Bridge End Road, B4143 Gipsy Lane, Chapel Roundabout (from Gipsy Lane to A4311 Cirencester Way), A4311 Cirencester Way, Transfer Bridge Roundabout (from A4311 Cirencester Way to Great Western Way), Great Western Way (from Transfer Bridge Roundabout to Cockleberry Roundabout), Polaris Way, North Star Avenue (from Polaris Way to Hawksworth Way), Hawksworth Way, Newcombe Drive (from Hawksworth Way to Great Western Way), Great Western Way (from Newcombe Drive to Bruce Street Bridges Roundabout, Kemble Drive, Penzance Drive, A3012 Wootton Bassett Road (from Penzance Drive to Redpost Drive), Redpost Drive, Peglars Way, Foxham Way, Blackhorse Way B4006, Croft Road (from Blackhorse Way to Pipers Way B4006), Pipers Way B4006, Pipers Roundabout (from Pipers Way B4006 to Marlborough Road B4289), B4289 Marlborough Road (From Pipers Roundabout to High Street), Newport Roundabout, High Street, Wood Street, Bath Road B4289 (From Wood Street to Victoria Road), Victoria Road, Regent Circus (from Victoria Road to Regent Street) and Commercial Road.There will be a temporary speed restriction of 20 mph in place (westbound only) between the Junction of B4143 Gipsy Lane)/A4311 Cirencester Way and the junction of B4289 Great Western Way/Polaris Way.MAJOR ROAD CLOSURES WILL BE SIGN POSTED INCLUDING DIVERSIONS, ALL AFFECTED ROADS WILL BE OPENED AS SOON AS THE RUNNERS HAVE PASSED THROUGH AND IT IS SAFE TO DO SO. ACCESS FOR RESIDENTS AND BUSINESSES WILL BE AVAILABLE BUT YOU MAY BE ASKED TO WAIT UNTIL IT IS SAFE TO PROCEED. 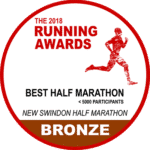 For information regarding the route of the Swindon Half Marathon please see. If you have any queries concerning the road closures and traffic diversions for the Swindon Half Marathon please call 01793 356092. For queries regarding this notice please call 01793 466401. But really someone in her position conjuring buy zocor 10mg up images of..